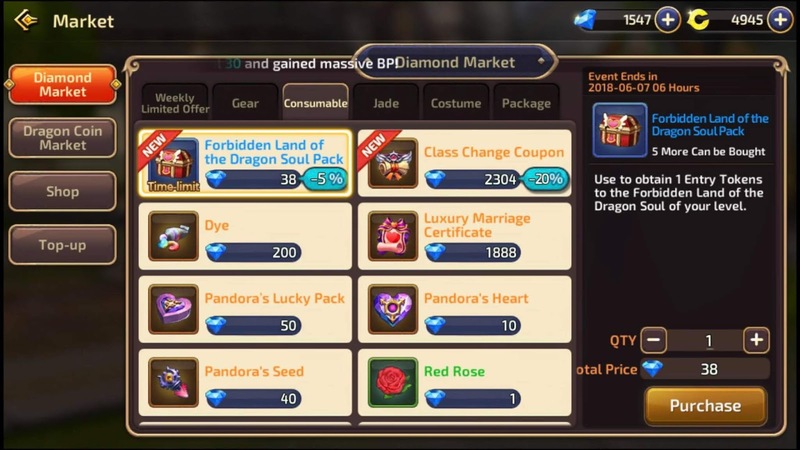 Some important news about Dragon Nest M - SEA, Diamond Market and Dragon Coin Market. Forbidden Land of the Dragon Soul Pack - Use to obtain 1 entry tokens to the Forbidden Land of the Dragon Soul of your level. 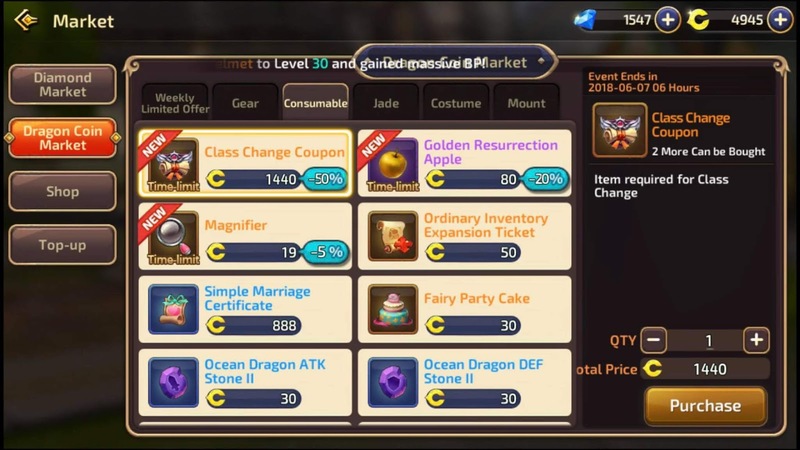 Class Change Coupon (20% Off) - Item required for Class Change. Golden Resurrection Apple - You can feel the power of life overflowing from this item. This allows the player to resurrect in Dragon's Lair. Magnifier - A mysterious item to check a chest.